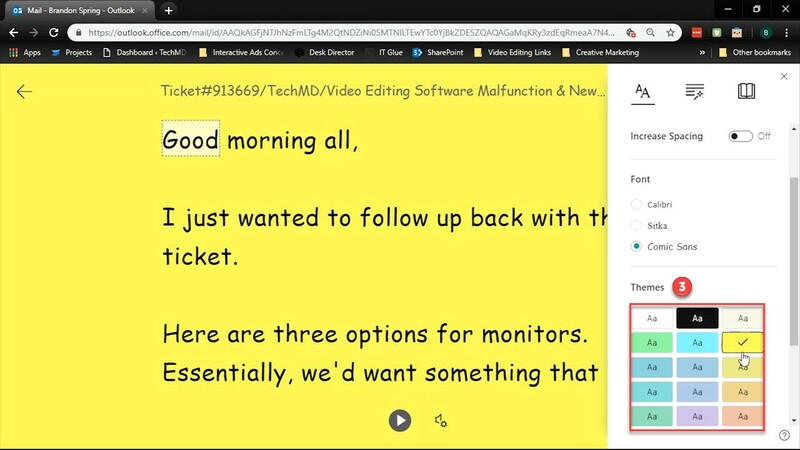 In today’s One-Minute Wednesday, we’re going to check out a cool feature inside Outlook Online called the Immersive Reader. 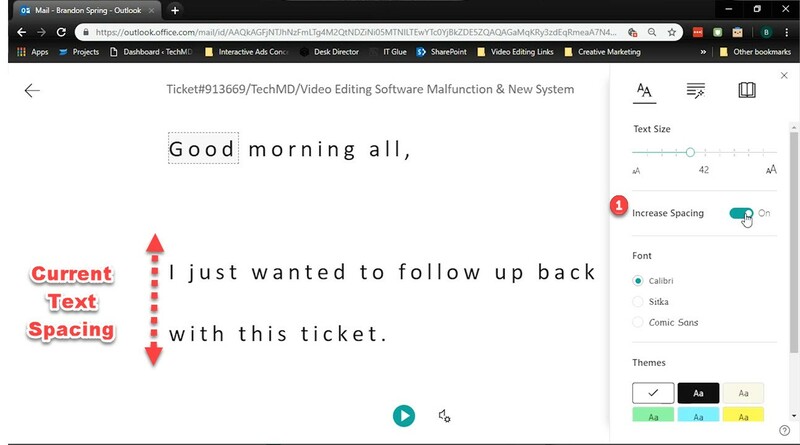 This tool gives you the capability to have your emails read aloud, so you never miss any details. Let’s see how it works! Getting started with the Immersive reader is pretty simple. 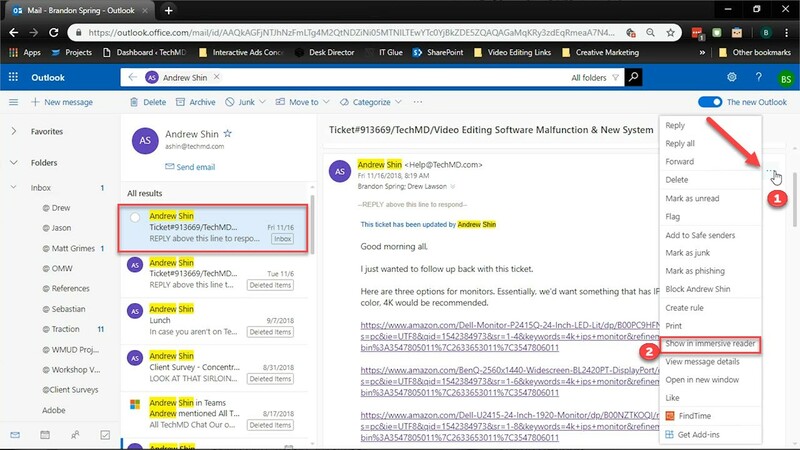 With Outlook open, choose an email you’d like to have read out loud. 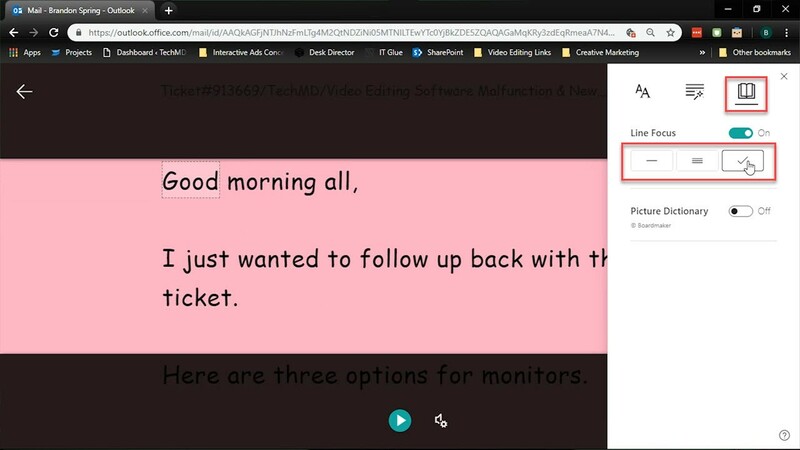 Then hit the “More Options” icon in the top bar and select “Show in Immersive Reader”. You’ll see that the email you selected has now converted into a document-like window. A play button exists at the bottom of the page that you can hit to initiate audio playback from the reader. Once it plays, the Immersive Reader will highlight each word so you can follow along. This tool also has some features that let you customize your experience to fit your personal preferences. Opening the gear icon gives you the option to increase or decrease the playback speed and also to change the voice to either male or female. In the top right corner, you’ll find the Text Preferences menu. Here, you can change the appearance of the page with the Increase Spacing button (1), which increases or decreases the space between words. You can also change the font of the text (2) and switch background themes for different colors (3). Under the Reading Preferences button, switch between the Line Focus options to change what becomes highlighted when the reader plays, shifting the visual focus upon reading along with the text. 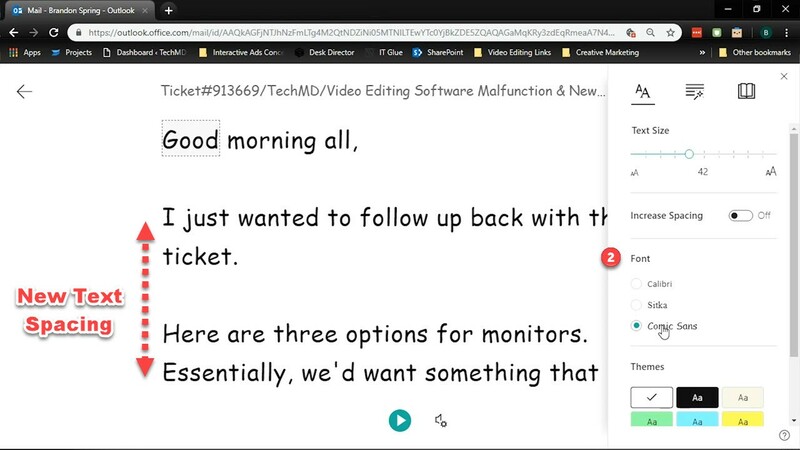 With Outlook’s Immersive Reader, you have a fun new method to engage with your inbox. Thanks for watching and come back next time! Get the most out of TechMD's One-Minute Wednesdays to getting weekly episodes right in your inbox!